24-hour protection against plaque and gum problems (Use every 12 hours). Has the Indian Dental Association Seal of Acceptance. Explore the entire range of Mouthwash available on Nykaa. 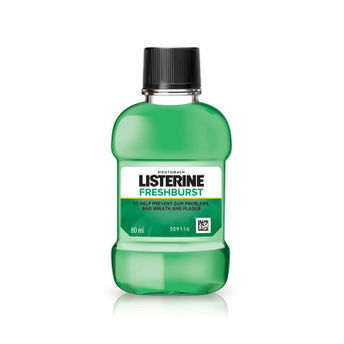 Shop more Listerine products here.You can browse through the complete world of Listerine Mouthwash .Alternatively, you can also find many more products from the Listerine Fresh Burst Mouthwash range.